Holiday albums usually aren’t something I get excited about. Another version of “The Christmas Song”? Nah, thanks, but I’m good. I’ll stick with my Dangerhouse singles and this delicious lump of coal. But every few years, a seasonal release comes along that transcends the trappings of crappy Christmases past and begs a listen. And this epoch it’s Charlie Hunter and Bobby Previte’s We Two Kings. Hunter is a guitarist’s guitarist, and one of the most critically applauded instrumentalists working today. Known for his ability to concurrently play rhythm, bass lines, and solos on his custom seven- and eight-string guitars, he made his name with Michael Franti’s Disposable Heroes of Hiphoprisy before concentrating on jazz and funk. Drummer and Hudson resident Bobby Previte, member of the Charlie Hunter Trio, has been revered as a composer and the leader of his own bands, as well as a collaborator of Tom Waits, John Zorn, and many more. Hunter and Previte have also worked together in the Coalition of the Willing. 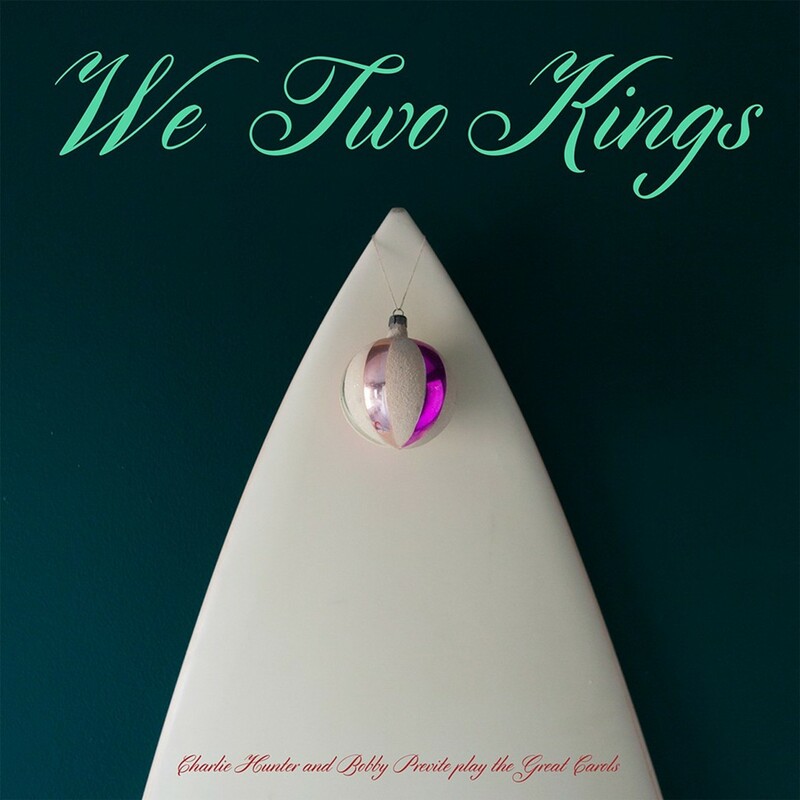 We Two Kings, which also features Charlie Hunter Trio trombonist Curtis Fowlkes, features revisitations of 12 Christmas carols that alternate between funky, rocking, and bluesy. We Two Kings is out now on Rank Hypocrisy Records. For more information, visit http://bobbyprevite.com/2015/12/01/we-two-kings-charlie-hunter-bobby-previte-christmas-album/.